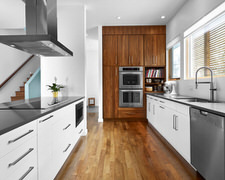 Poggenpohl Toronto Studio has been a leader in providing fine quality custom cabinetry for many years. Your complete satisfaction is our #1 goal. Poggenpohl Toronto Studio Specializing in Bathroom Vanities, Mirrors, Shower Enclosures and More. 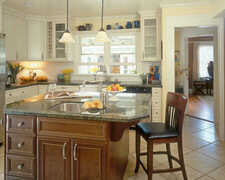 Rockwood Kitchens is an award-winning design firm that is looking forward to working with you. If you live to entertain, if you are a growing family or if you long to relax in an empty nest our design team consisting of three generations of designers can relate personally to these very components and will collaborate to achieve the dream project you will love and enjoy for years to come. Kitchen Star Cabinets is dedicated to provide Complete Renovation Services for Home Owners and Small Business in the Vaughan, Ontario area. Complete bathroom, kitchen design and install. Maven Custom Kitchen is a cabinet maker located in Vaughan, Ontario and has been servicing all of the surrounding areas for many years. We specialize in Cabinet making. 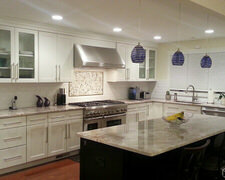 Nuvo Home Products is a Kitchen renovation and design company located in Vaughan, Ontario. We build beautiful kitchens at affordable prices, contact us today! Custom Mode Inc has been locally owned and operated since 2006 and specializes in high quality custom designed cabinetry in the Ontario area.